Motorola has officially announced that the Android 7.0 Nougat update for Moto Z and Moto Z Force is ready. The update has already begun rolling out to some users, and will be rolled out to all variants of the devices this week. And yes, that applies to the devices available globally. Before you ask, yes it could be available for carrier locked variants a bit later (as usual), so you may want to check the software upgrade page on Moto's website for more information.Now coming to the update itself, the Nougat update brings new features like multi window, quick reply from notifications, and more, there is one super feature which the update adds. 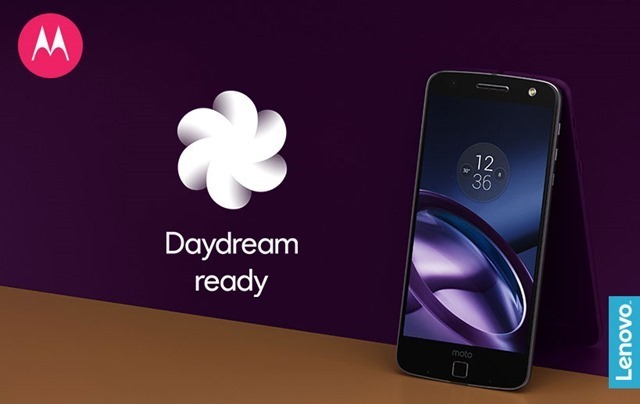 With Nougat, both the Moto Z and Moto Z Force will get support for Google's Daydream VR, with advanced virtual reality features. This is the first phone to be Daydream ready, except the Google Pixel Phones. Of course to use this, you need a compatible VR headset, aka the Google Daydream View, to view sporting events, exploring new worlds, cinemas, etc. Unfortunately Daydream View is not available in India. If you are in the U.S, you can get one from the Google Store, Verizon, and Best Buy.